Slash Featuring Myles Kennedy & The Conspirators have now announced they will release their new album titled Living The Dream on 21st September 2018 on Roadrunner Records with the first single Driving Rain being unleashed on Weds 25th July. 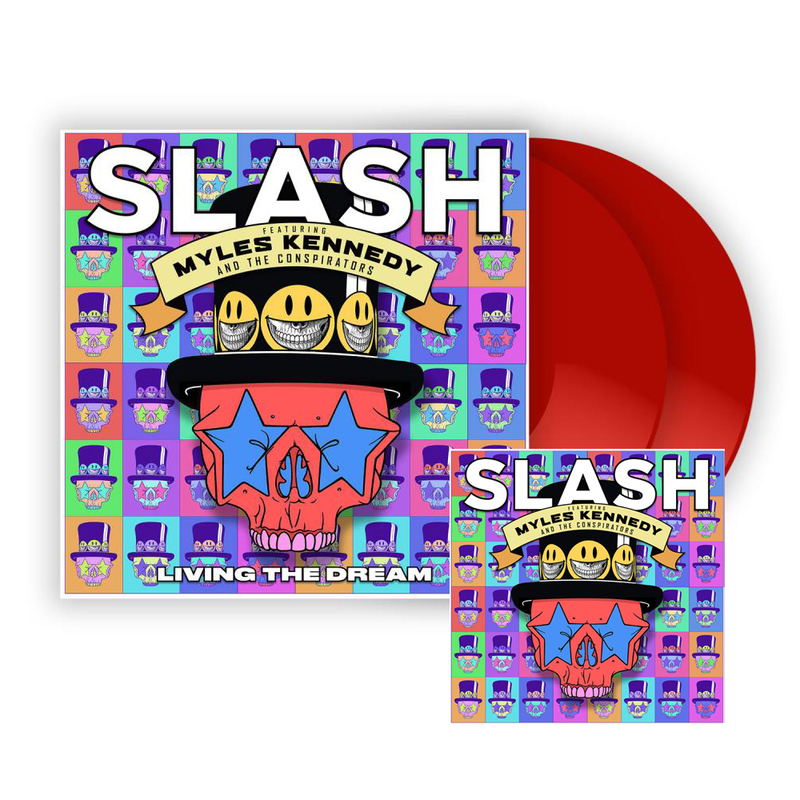 Living The Dream is Slash’s fourth solo album, and third for Slash and his bandmates Myles Kennedy (Vocals), Brent Fitz (Drums), Todd Kerns (Bass & Vocals) and Frank SidorisS (Guitar & Vocals). The band has also unveiled the album cover art and tracklisting for the album with the eye-catching front cover artwork being created by renowned visual artist Ron English.